Parbhani near Pune should be your place of choice while packing your bag to visit spiritual places near Pune. Parbhani (erstwhile Prabhavatinagar) is a city in the Parbhani district of Maharashtra. Historically, the name is named after Goddess Prabhavati meaning the ‘Goddess of Aura’. The land remained under the rule of the Nizam of Hyderabad and came under the Republic of India only after independence. Temples and other holy places attract a number of devotees to Parbhani all year. Parbhani is host to a number of Educational Institutions including the Parbhani Agriculture University. The university is famous and very reputed in the region and does good research in the Agricultural field. 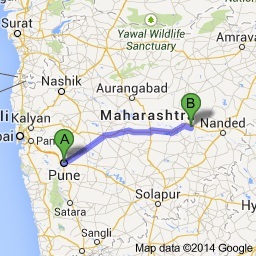 Shri Shirdi Saibaba is said to have been born in this district, mere 40 km from Parbhani. The Pardeshwar Temple Parbhani is the most visited and revered temple in the area. The idol is made of Mercury (Parad) and is said to be very unique and the first of its kind. The temple is home to Lord Shiva and the idol of Goddess Saraswati. The Shivlinga at this temple is said to be the heaviest idol made out of Parad in the world.The devotees come here as they believe in the miracles. It is a pilgrimage site. People visiting the temple can get joy and happiness by praying here. 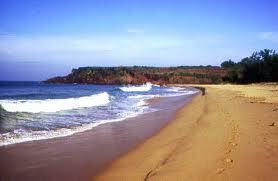 There are multiple places to visit and Parbhani tourism is renowned. The Shree Mohta Maruti temple, Shree Supari Hanuman Mandir, Ashtbhuja mandir, Pardeshwar temple, Beleshwar Temple, Naag Temple, Dargah of Hazarat Turabul Haq Shah are some of the important destinations. An ancient temple of Lord Renukamata is found in Ranisawargaon near Gangakhed, near Parbhani. The temple is said to have been founded by Lord Parsuram. The Jain temple in Jintur is renowned for its seven caves. It has idols of Bhagvan Mahaveer, Bhagvan Adinath, Bhagvan Shantinath, Bhagvan Neminath, Bhagvan Parshwanath, Nandishwar and Bhagvan Bahubali. The temple is 400 years old. 19 km from Parbhani is the famous Lord Narasimha temple in the town of Pokhraj. Mudgaleshwar temple is very unique as it is situated in the middle of the river Godavari. To have a darshan during the rainy season, the devotees have to swim to the temple as it gets submerged. The temple is more than 900 years old. The temple also has a mango farm in its compound. The Nemagiri temple is a holy place for the Jains with the idol of the Bhagwan Parshwanath. 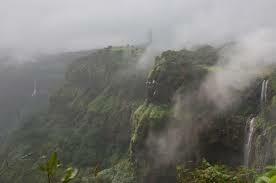 The area is also said to be the birthplace of Shri Sant Saibaba. Shelgaon, situated on the southern taluka has a temple of Lod Vishnu said to be as important as the one in Kashi Varanasi. Shirdi Saibaba Janmasthan Mandir is in Pathri, close to Parbhani. Syed Shah Turabul Haque Dargah is an important place in the region. The Dargah is devoted to the great Muslim saint and attracts both Hindus and Muslim devotees. Located 12 km from Parbhani, Tridhara is the confluence point of the three rivers – Godavari, Narmada and Purna. The Sangam at Rudraprayag is very famous as a picnic spot.